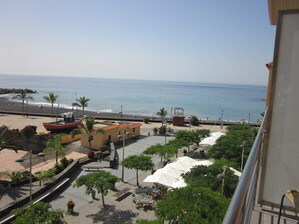 A group of just six apartments by the sea in Tazacorte - exceptional quality for that extra zing to your holiday! These beautiful apartments are located just 100m from the beach in Puerto de Tazacorte, said to be the sunniest climate in the whole of Europe. With two bedrooms, the apartments sleep up to six people - great for a family holiday or just lots of space for two or three people. 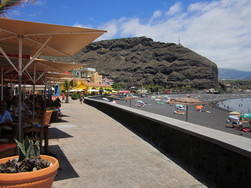 Each apartments has its own balcony from where there is a wonderful view over the sea and the port village of Tazacorte. 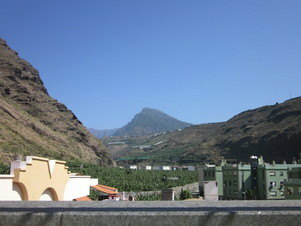 From the roof terrace, there is a singularly impressive view both over the sea and the Caldera de Taburiente and El Pico Bejanado inland. 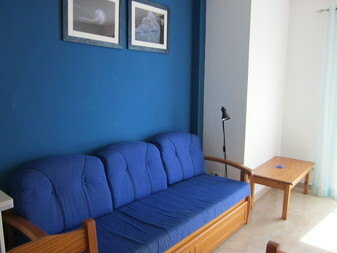 The lounge area of the apartments is bright and spacious, a wonderfully tranquil place to relax after a hard day on the beach or exploring La Palma! The classic decor of the apartments is set off beautifully with top-class furnishings and fittings with every attention to detail. There is cable television with Spanish, English and German language plus broadband internet connection. The kitchen is superbly equipped to the highest standard with a large fridge/freezer, microwave, coffee maker and 4-ring electric hob. 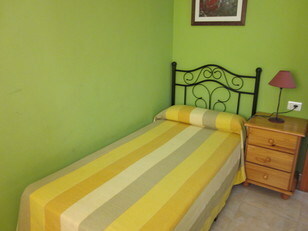 The bedrooms are spacious, attractively furnished, airy and colourful. 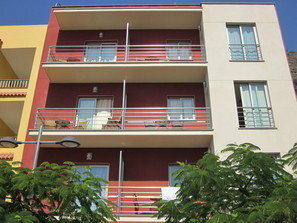 The sleeping accommodation consists of one twin-bedded room and a single bedroom. Where required, an extra bed can be placed in the single room. 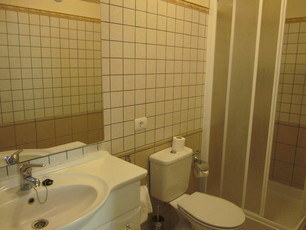 The bathroom includes a shower, toilet, wash basin and bidet. There is also a drying rack for clothes. 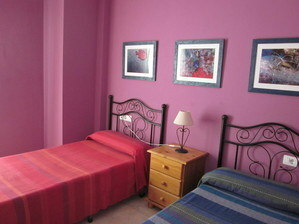 Add 5€ per night for each extra person between 4 and 6 people up to a maximum of 6 persons. There are no extra costs - tax, final cleaning, bath towels and bed linen, etc are all included. Select one of the restaurants nearby Apartments Dracaena for an excellent meal after a great day of walking, exploring, swimming or sunbathing. 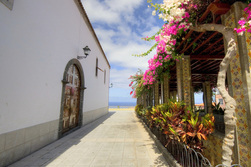 Wine from La Palma's own vineyards and the setting of the sun make it an evening to remember. The Pueblo and Puerto de Tazacorte have some lovely old and hidden areas to explore, well away from the footsteps of most tourists. The large and leafy Plaza de España in nearby Los Llanos is an absolute must! The apartments at Tazacorte are ideal as a base for walking the south west section of the GR130 and also the GR131 and volcano route. 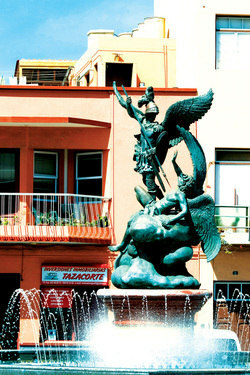 Accomodation in Tazacorte is included in our luggage transported walking holidays and also our two-centre walking holidays. To help you get the most out of your holiday, the price of your accommodation includes our 6-page guide to Tazacorte and surrounding area. 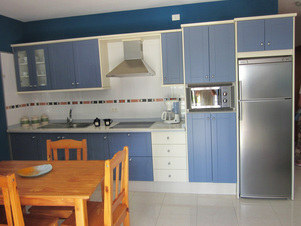 Click here for other apartments at Tazacorte and information on dolphin trips, museums, SCUBA diving and more.